Magnets are great. Most of us have a souvenir magnet (or three) adorning our fridges at home, and of course, you can have endless hours of fun with the alphabet ones. When it comes to beauty, magnets have played their part, too. Remember those magnet stamps (circa 2011) that magically created patterns in your drying nail polish? Fast forward to now and magnets have evolved. No longer reserved for novelty fridge adornment or nail art, they are being utilised by two of the biggest skin doctor brands in the world. Both Lancer Skincare and the team behind the late Dr. Brandt have launched magnetic face masks promising to tackle both wrinkles and the damaging effects of pollution. Already Insta-famous, these masks are as addictive to watch as they are to use, and, unlike the popular peel-off masks, they are totally pain-free. Keep scrolling to find out more about this new trend for magnetic face masks. As you can see from the Instavid, you apply the mask, wait and then use the magnet to draw the product away from the skin. If you wrap the magnet in a tissue, you can simply throw the tissue away afterwards, making it super easy to use—no muss, no fuss. The magnet isn’t just a removal device, but it’s drawing impurities and pollution particles away from the skin, which, if left, can lead to premature wrinkles and age spots. The magnet is like a deep clean for your complexion but it has other benefits, too. “[Magnets] have been known to help heal wounds and calm inflammation and are a very hot area of research right now,” Whitney Bowe, a Manhattan dermatologist and a member of the Dr. Brandt Skincare Advisory Board, told Observer. The magnet also wakes up negatively charged particles, like calcium, that are naturally found within our skin. This, in turn, stimulates the fibroblasts to produce more collagen and the circulation of the skin gets a boost, too. Skin will be left with an instant glow. 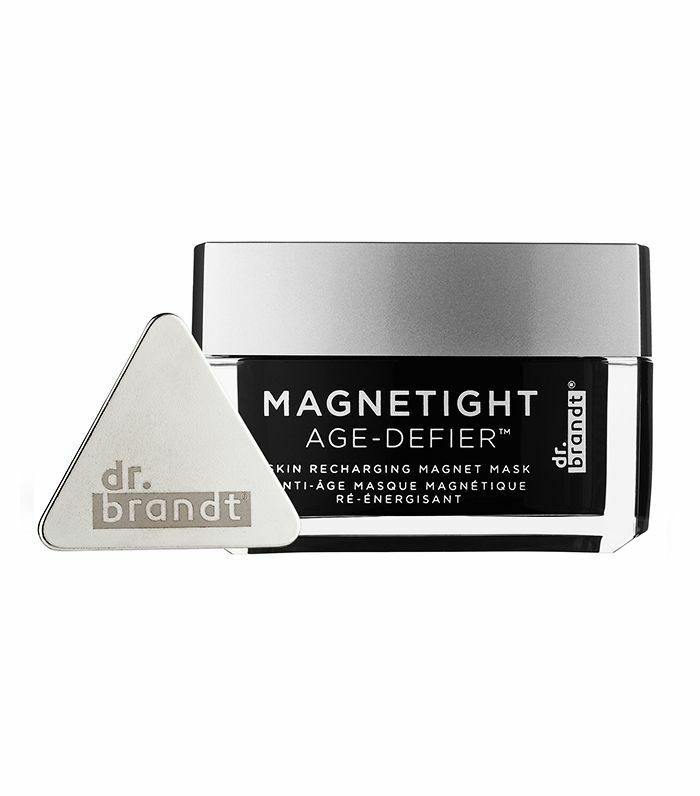 While both masks promise line-smoothing and skin-tightening benefits, Dr. Brandt Magnetight Age-Defier (£52) is very much focused on purifying pores and tackling dullness. It leaves a moisturising film on the skin, making it ideal for nighttime use, while Lancer Skincare Younger Revealing Mask Intense (£175) also contains Hydroxypinacolone Retinoate to improve the skin’s overall texture and tone and leaves skin ready for makeup application. Next up, we put this £7 sheet mask for hair to the test.